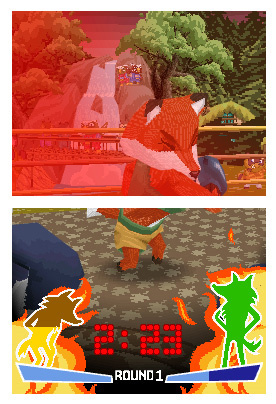 Animals from all kind of sizes and species lived together in peace in the Forest of Happiness. 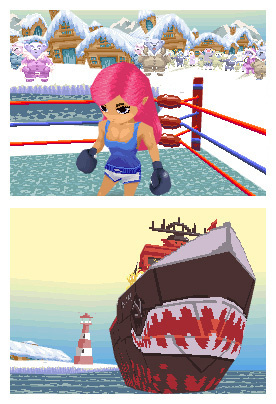 But out of the blue on a sunny day, a new resident joined the neighborhood. 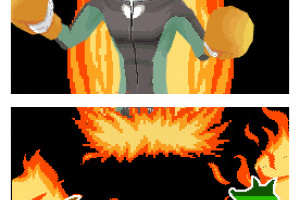 He was a human. 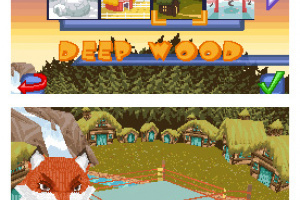 From the start, the new resident tried his best to become part of the community and be friends with all of the creatures living in the forest. 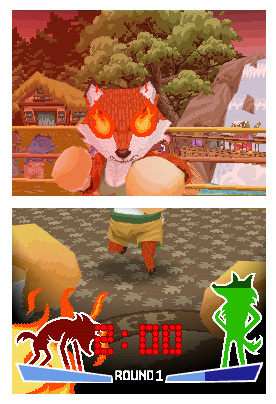 He would talk to the animals, run errands for them, make sure that the forest was kept clean... 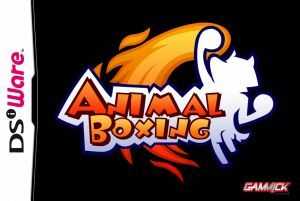 However, after all those efforts to become one of them, something unexpected took place... Somebody opened a boxing gym in the Forest of Happiness and every single one of its inhabitants rushed to work out and get fit! 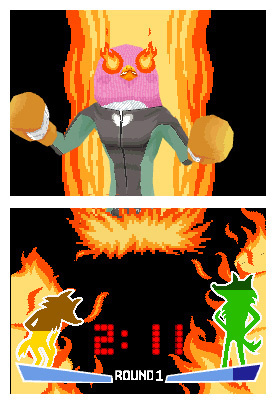 This unexpected event arouse repressed feelings right from under the new neighbor’s insides. 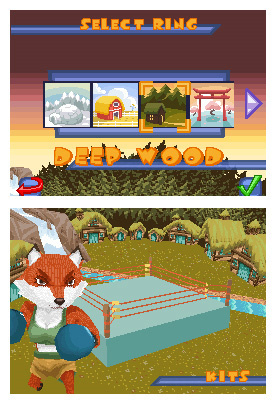 As if there was no tomorrow, the new inhabitant decided to take charge and change strategies in order to make it clear to every creature in the woods who was the real king of creation here. 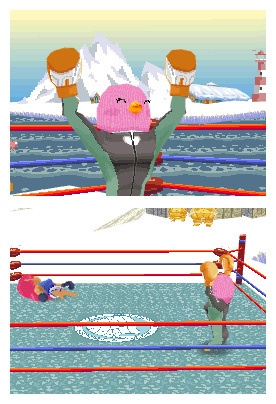 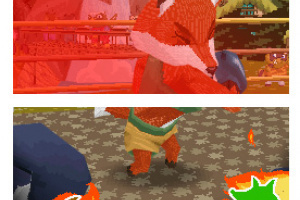 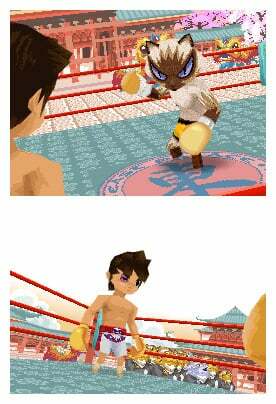 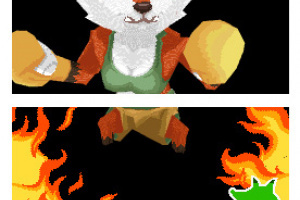 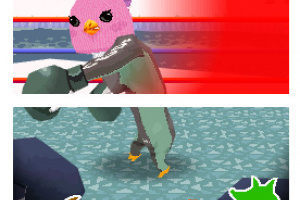 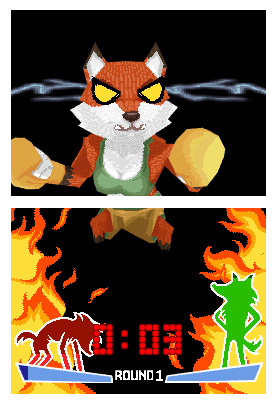 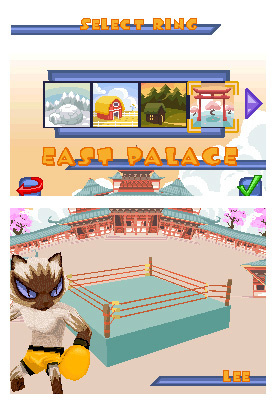 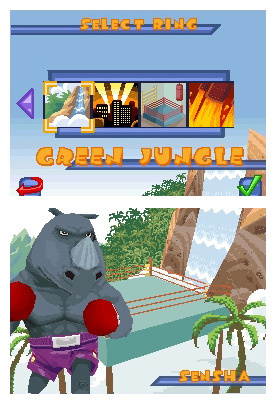 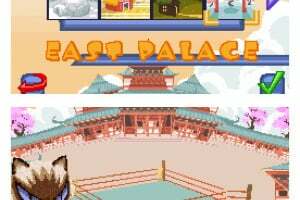 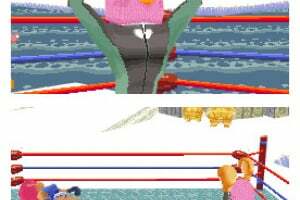 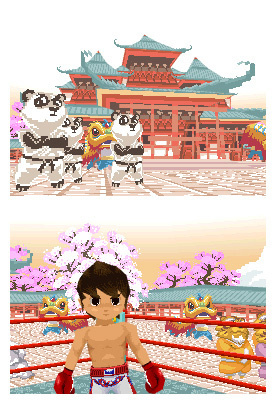 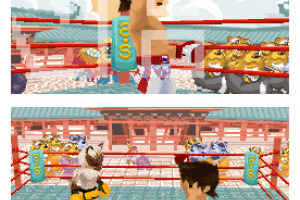 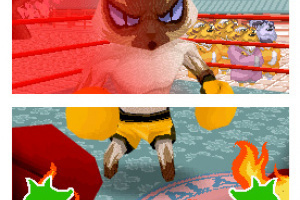 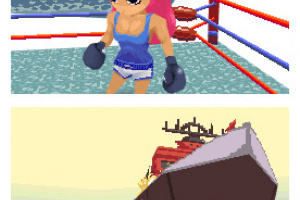 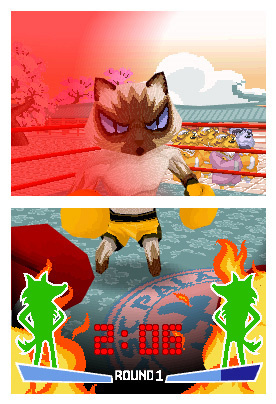 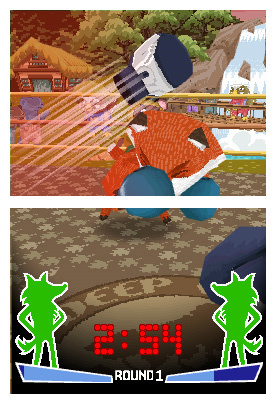 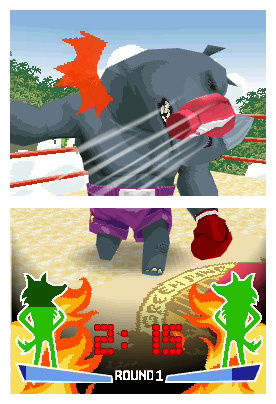 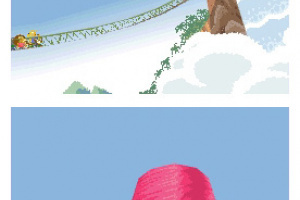 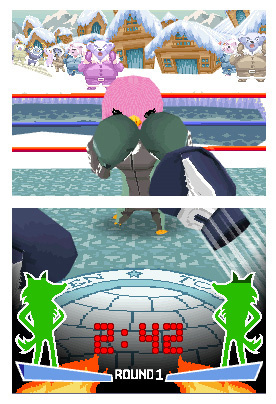 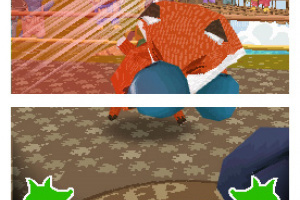 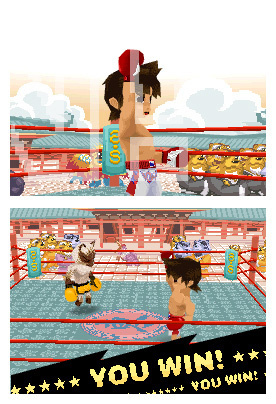 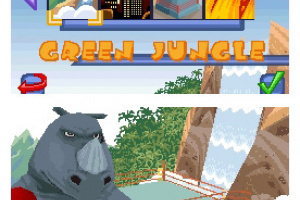 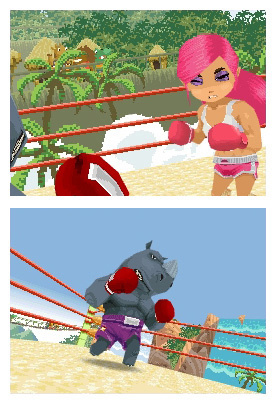 Features - “Slam Down” Controls: Animal Boxing is the first game ever to invert the Nintendo DSi unit. 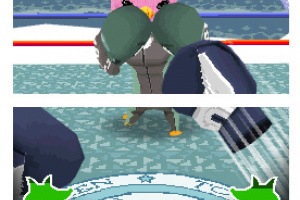 Use the stylus for motion-based controls. 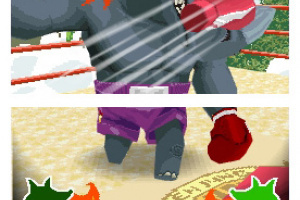 Throw jabs, hooks and uppercuts with simple stylus movements. Take On All Challengers: Step into the ring against 50 wild fighters with different fighting styles. 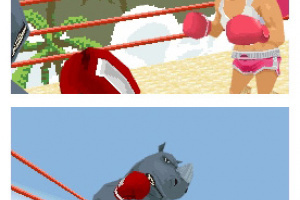 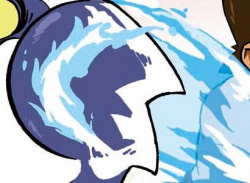 Go toe to toe against Lee the cat, Sauda the rhino, Fore the bull, and many more! 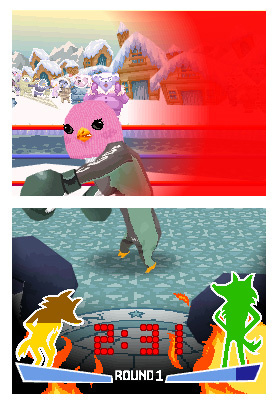 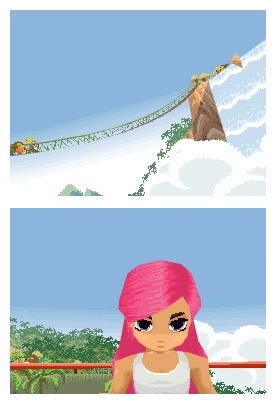 Battle a Friend: Face off against another player with Nintendo DSi Wireless Communications. 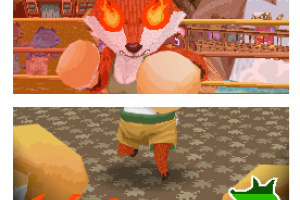 These animals look so evil.